This is a ‘signal-dot’ which identifies price and candle patterns that typically represent institutional accumulation and distribution of inventory. Please click here for PDF documentation with more detail on these tools. 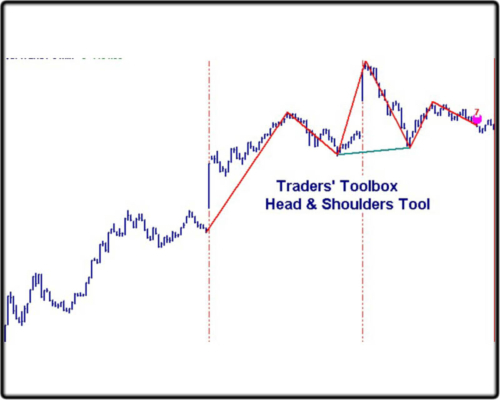 This pattern recognition tool for the TradeStation platform uses fuzzy logic to identify head and shoulders top patterns. The indicator will show the pattern with straight lines connecting the key pattern points. A large dot on the chart highlights the bar where the H&S pattern was first identified. 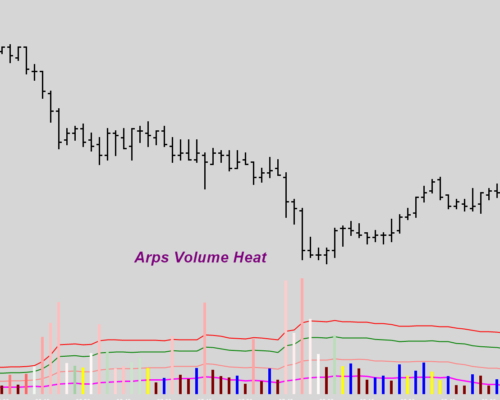 The Arps Consolidation Breakout Tool identifies consolidation areas on a price chart by painting the bars a distinctive color. 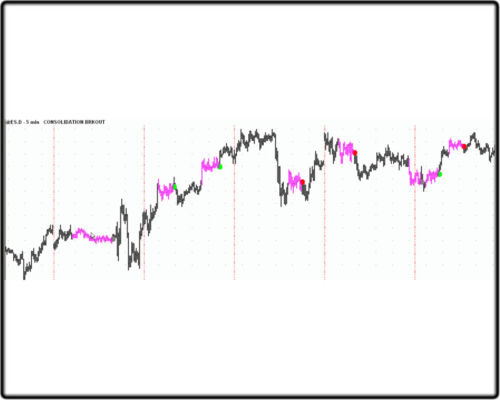 It also attempts to predict the direction of the breakout by plotting a colored dot on the chart. Red dots predict breakouts to the downside, green dots predict breakouts to the upside, and gray dots are plotted when the tool is not sure about the direction of the next breakout. Inputs are provided to control the colors of the dots and bars. 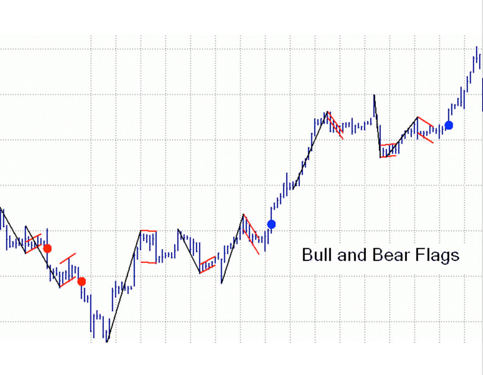 The Arps Flag Pattern tools highlight bull and bear flag patterns that will help you to find potentially profitable breakouts from trend pullback formations. User inputs allow you to control the characteristics of the type of flag you want to identify.